Sarah Monette is an American novelist and short story author writing mostly in the genres of fantasy and horror. She was born and raised in Oak Ridge, Tennessee. In 2004 she earned a PhD in English literature, specializing in Renaissance Drama and writing her dissertation on ghosts in English Renaissance revenge tragedy. She double-majored in Classics and Literature (a cross-departmental program between French, English, and Comparative Literature) in college. Learn more about Dr. Sarah Monette and read the first four chapters of her novels at her website. 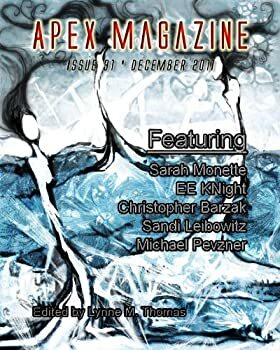 You can read about the use of the penname Katherine Addison on Sarah Monette’s blog. Click here for more stories by Sarah Monette. The Doctrine of Labyrinths — (2005-2009) Publisher: Mélusine-a city of secrets and lies, pleasure and pain, magic and corruption. It is here that wizard Felix Harrowgate and cat-burglar Mildmay the Fox will find their destinies intertwined in a world of sensuality and savagery. 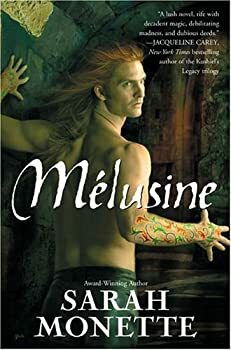 Melusine has some definite issues as a first novel. It's setting doesn't feel quite fully fleshed out — even if one gives the author the benefit of the doubt and believes things are left unanswered for plot purposes and are “to be revealed later.” If that's the case, the reader could have done with a bit more revelation early on, especially with regard to the politics which drive so much of the characters' motivations. Without that background, their actions run the risk of seeming arbitrary just for the sake of plot. Some of the side plots/characters get dropped or resolved a bit too abruptly, as do some of the major actions, again even given consideration for the sequel. And the language moves too often between imagined-word-speak and modern slang. Wizard Felix Harrowgate is back and much less crazy than he was during 90% of Sarah Monette's Melusine. So is thief Mildmay the Fox, who's a bit less mobile, crippled by a curse that caught up to him in the previous book. 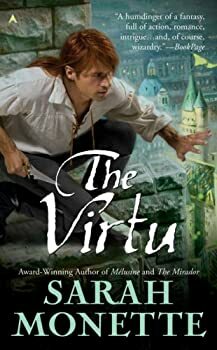 Their goal: To travel back across the world, return to Melusine (the city) and restore the magical crystal called the Virtu. If the plot sounds a little thin...well, that might be because it is. It's padded with events, ones not necessarily pointless exactly, but not entirely relevant, either. 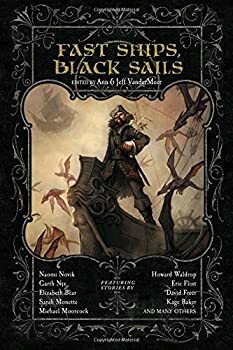 Some of it is really interesting, including a trip into a creepy underground maze and the introduction of a new character, Mehitabel Parr, who muscles her way in on the trip to Melusine. Iskryne world — (2007-2013) Sarah Monette and Elizabeth Bear. 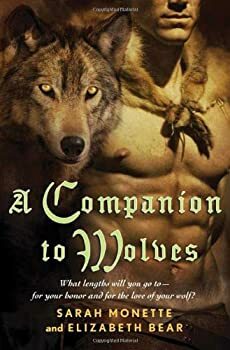 Publisher: A Companion to Wolves is the story of a young nobleman, Isolfr, who is chosen to become a wolfcarl — a warrior who is bonded to a fighting wolf. Isolfr is deeply drawn to the wolves, and though as his father’s heir he can refuse the call, he chooses to go. 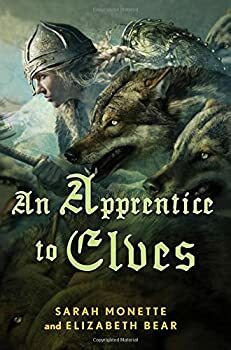 The people of this wintry land depend on the wolfcarls to protect them from the threat of trolls and wyverns, though the supernatural creatures have not come in force for many years. Men are growing too confident. The wolfhealls are small, and the lords give them less respect than in former years. But the winter of Isolfr’s bonding, the trolls come down from the north in far greater numbers than before, and the holding’s complaisance gives way to terror in the dark. Isolfr, now bonded to a queen wolf, Viradechtis,must learn where his honor lies, and discover the lengths to which he will to go when it, and love for his wolf, drive him. I've been seeing Sarah Monette's name for a while but, for the most part, this collection of short stories was a blind purchase. 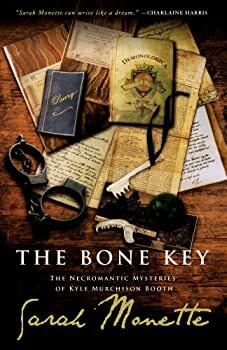 The Bone Key deals with the exploits of Kyle Murchison Booth which are homages to M.R. James and H.P. Lovecraft. Now I'm not familiar with the former but I can attest that Monette captures the mood of the latter with this book. 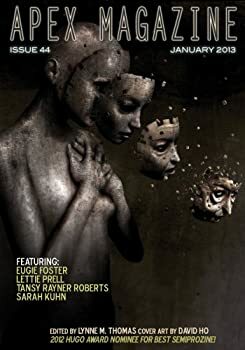 Even the protagonist himself is similar to Lovecraft's "heroes" although Monette improves upon the concept and provides us at the very least with an interesting character instead of simply delivering a verbose narrator who can't hold a decent conversation.